Many socialists have contributed to the debate on Marxism, nature, and value, strengthening our common understanding of the enemy we face and the movement we must build. C&C begins the new year with an extensive interview with John Bellamy Foster, editor of Monthly Review, about the need to fight for a revolutionary ecosocialist alternative to the profit-driven world capitalist system. The editor of Monthly Review responds to ‘socialists’ who view the environmental crisis as a problem of technology, not a fundamental rift in society’s relationship with nature. 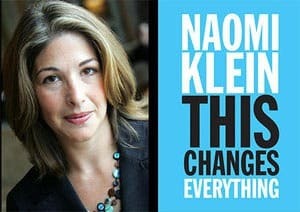 There is much to admire in Naomi Klein’s new book, but she underestimates the danger posed by Trumpism, and doesn’t pose a real alternative. She calls for a Leap, but it isn’t high enough or far enough. 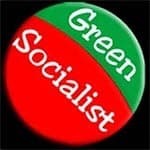 Should ecosocialists support or distance themselves from the author of This Changes Everything? Richard Smith and John Bellamy Foster discuss the prominent activist’s role. 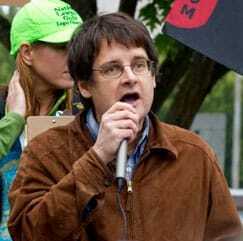 Should ecosocialists reject a program that includes carbon pricing? Ian Angus and John Bellamy Foster reply to Daniel Tanuro’s criticism of their approach. 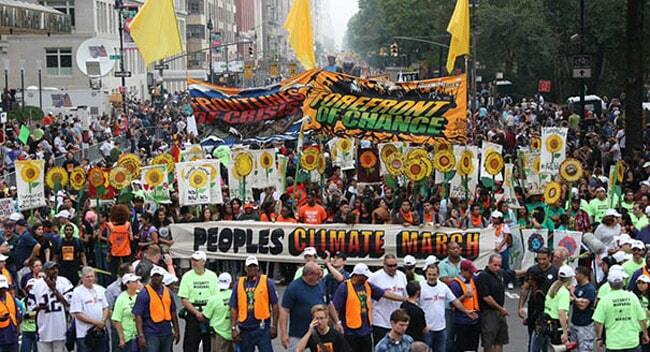 The climate movement is central, but we have to fight on all fronts, combining broad defense of human rights and opposition to war and imperialism, with the fight to save Earth as a place of human habitation. Can Marxism strengthen our understanding of ecological crises? The author of Marx’s Ecology replies to a critic on metabolic rift, sustainable human development, degrowth, population growth, and industrialism. John Bellamy Foster: This administration is not just a cabal of ignoramuses. 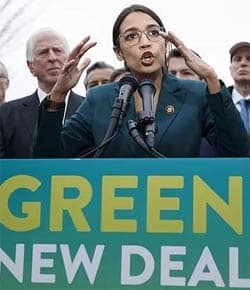 Behind the right’s climate denial is the economic reality that seriously combating capitalism’s war on the planet requires the defeat of the system. 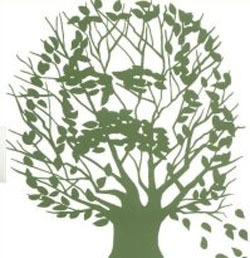 The German daily Junge Welt interviews John Bellamy Foster on capitalism’s destruction of nature, ecological Marxism from Marx’s time to the present, and the environmental crisis as a class issue. Video: John Bellamy Foster discusses the theoretical and programmatic challenges that the Anthropocene, a dangerous new epoch in planetary history, poses for socialists in the 21st century. In the present planetary epoch, the concept of sustainable human development, as a way of conceiving of socialism, represents Marx’s most valuable legacy. No other ecological analysis has such breadth and power.